We met with Dr. Packer today. Without going into too many of the grueling details, let’s just say our appointment was riddled with hard evidence for Murphy’s Law. It started with us needing gas and finding the closest gas station completely shut down, and it only got worse from there. After stumbling through the obstacles and afflictions, we finally got to see Dr. Murphy, I mean Dr. Packer (I actually typed “Dr. Murphy” the first time, almost deleted it, then decided to keep it that way). He was a really nice guy, and Sophie liked him a lot. At first he examined her. He said she looks great. Then he pulled up her recent brain scans and showed them to us. He also relayed the official radiologist’s reading of those scans – all clear. In looking to get more information about PMA, the type of tumor that we were told was removed from Sophie’s head, I asked a few questions. His response to my questions was simple and it was unexpected. 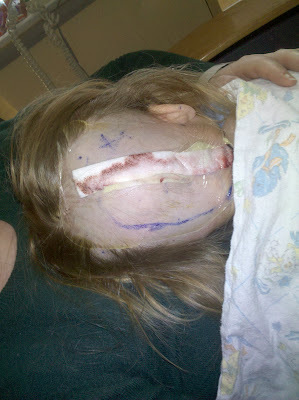 Sophie didn’t have a pilomyxoid astrocytoma removed. We had been misinformed. Dr. Packer pulled up a document that resembled a long email exchange. 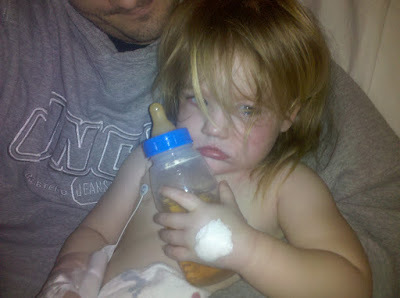 It was the pathology on Sophie’s tumor. In it were notes, comments and explanations bouncing back and forth between the Children’s Hospital biopsy lab and Dr. Burger (the man who, with his team, named PMA as a new type of tumor over a decade ago). 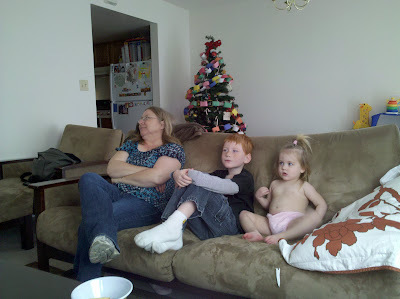 Last we were told in January, Dr. Burger believed Sophie’s tumor was a pilomyxoid astrocytoma. Dr. Packer told us that Dr. Burger had not been happy with the result, and had gone back to have another look at her slides. 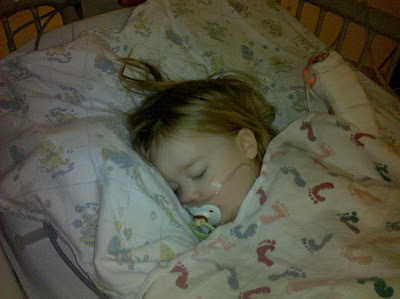 It turns out Dr. Burger couldn’t place Sophie’s tumor squarely into any category. He ended up making something up. 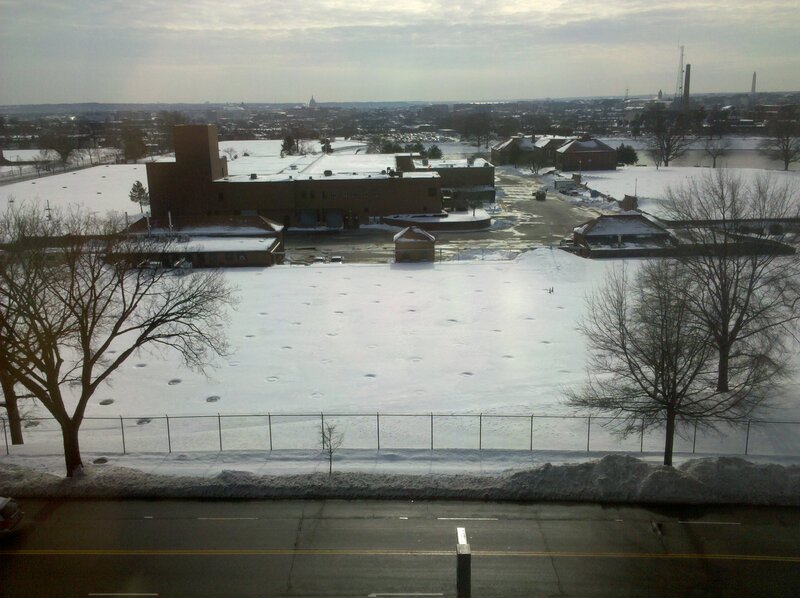 Now, before you cry foul, remember that pathology is more of an art than a science. To categorize a tumor cell, you have to look at it under a microscope and decide how mutated it is compared to the healthy cells it originated from, then rate the level of mutation on a scale of one to four. This is a highly subjective and imprecise process – an art form. 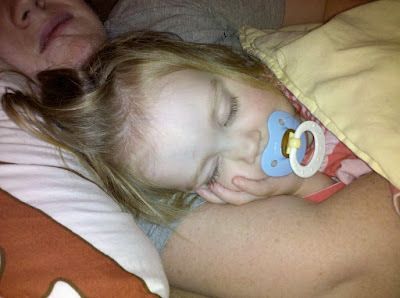 If anyone is going to make up a category to put a tumor in for my daughter, I think Dr. Burger is a good candidate. I’m not one to say who the best is in his field, but Dr. Burger has literally written the book on the subject, and I’m feeling rather inclined to believe him in these matters (Dr. Packer appeared to have the same level of confidence in the new pathology from Dr. Burger). Essentially, Dr. Burger is now saying that Sophie’s tumor (if I recall his words correctly) was a grade two pilocytic astrocytoma (PA). The explanation was that the tumor appears to be a typical PA (the low grade form of which is the most common pediatric brain tumor and is generally harmless once removed) with slightly more aggressive mutations, which is why he is calling it a grade two PA. This is also why we will still be getting MRIs every three months this year rather than every six months (as would be the case in a normal PA patient). Of course, I may not have understood exactly, but that is what I took away from the meeting. As time goes on and each time we meet with the doctors, we will continue to learn more. For now, I’m relieved that her tumor was (probably) not PMA. PMA sounds a little frightening as there is evidence it may have a higher mortality rate than other astrocytomas. I should also note that the Children’s Hospital biopsy lab was thinking her tumor may have been some kind of glioma (I think, but I can’t remember), but they were so uncertain that they deferred to Dr. Burger – the expert. On a personal note, judging from his photo, I think I would like to meet Dr. Burger. He seems like a very interesting man. Finally, I asked about the research opportunities that were taking place where Sophie’s tumor cells may be of use. Dr. Packer told us that, just recently, an agreement was made between several large hospitals regarding pediatric brain tumor studies. In the agreement, the Children’s Hospital became a major supplier of samples, and another hospital (I can’t remember which one for sure, may have been Johns Hopkins) will be conducting in-depth genetic and other analysis of the cells. In fact, if Sophie has a recurrence, they will immediately perform a detailed genetic analysis of her tumor cells and, in Dr. Packer’s words, “they will find [Sophie’s] cute gene in there somewhere.” For now, we were assured that her samples are already part of the studies. Sophie liked Dr. Packer so much that by the time we made it to the car to leave, she was chanting, “Doctor … PACKER!” Eventually she said it so smoothly, it sounded the same as if you or I said, “Dr. Packer.” It’s really cute to hear her say it. If you ever call, be sure to get her on the phone to say, “Dr. Packer” for you. As always, watch this space for updates when they come. Well, in the technology world this wouldn’t qualify as a “new feature,” but for this blog it’s a significant bit of information. I’ll add a link to the side bar for quick reference. Keep in mind: When using this category link, only the summaries of the entries will be shown. To read the full entry you will need to click on the title! Thank you all for the immense love and interest you’ve shown through our rough times. I wanted to get this information written down while it was still fresh in my mind. The degree of our good fortune seems to increase every time we meet with a doctor. The things we learn continuously make the divine guidance we’ve experience on our journey more and more apparent. Today we met with Dr. Suresh Magge, the surgeon who performed Sophie’s operation. One of the first questions he had for us (other than, “How is she doing?”) was if the metal detectors at the airport had indeed failed to detect her titanium brackets. It seems that he has never actually had one of his brain surgery patients go through airport security between appointments with him. He had always heard that the brackets shouldn’t set off the metal detectors, but our case was the first opportunity for him to confirm that bit of information. Understandably, most of his patients simply avoid travel for the first year or so after their operation. He had a look at her scar, and remarked that it was healing very nicely. Out of curiosity, I had him describe the size and location of the slab of bone he removed for the surgery, as well as the number and placement of the titanium brackets that hold the bone in place while it heals. He described a hole circular in shape and approximately two inches in diameter, close to the base of her skull. He couldn’t remember if he used three or four brackets (it’s always three or four), but after feeling around a bit he found one of them for me to feel under the skin. It protruded out just a little further than I had expected it to. We’re not talking about a huge bump, but it surprised me. We showed him how well she’s running and walking around, and he checked a few other indicators of her neural health. Overall, he was impressed with how quickly she had returned to normal operational capacities. Dr. Magge brought up that he would like to have Sophie in for her first MRI before we meet with Dr. Packer. His remarks about Dr. Packer quickly led both Rochelle and me to conclude that this man is not only important, but is viewed with a kind of awe and reverence by his peers. 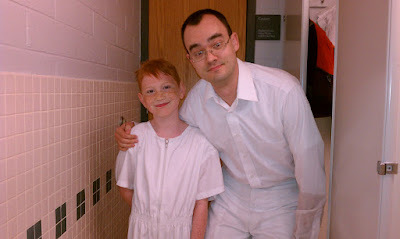 He is very difficult to schedule for appointments, and it is noteworthy that he is interested in seeing Sophie. Usually he doesn’t concern himself with brain tumor patients who do not require chemotherapy or radiation treatment (these cases represent the vast majority of all cases studied). However, he has requested to see Sophie. So, our appointment with him is on the 15th of March (that was the soonest available when I made the appointment a week ago on the 19th of January). Next we talked about the pathology report, which is one of the reasons Dr. Packer may be so interested in Sophie’s case. 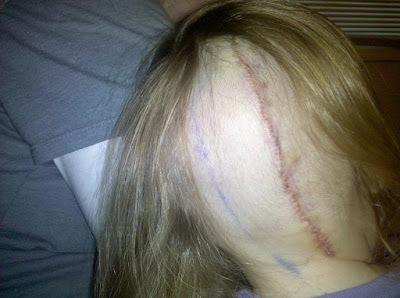 What everyone initially presumed had been pulled from Sophie’s cranium was a PA (pilocytic astrocytoma). PA is the most common type of pediatric brain tumor, and is given the lowest grade in the World Health Organization scale (that 1 to 4 scale I discussed last time). Thus it is considered the most benign (only slightly mutated cells), the least aggressive and subsequently the least likely to reoccur. PMA (pilomyxoid astrocytoma) is a newer type of tumor that is only recently being separated from that grade one PA classification. 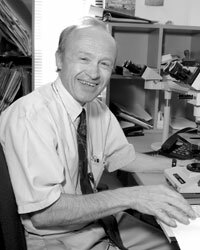 Pilomyxoid astrocytomas were first described by Dr. Burger and his colleagues in 1999. They recognized them as relatively rare tumors with some features of pilocytic astrocytoma, but a distinctive microscopic growth pattern, as well as a higher recurrence rate and chance of spreading within the brain. This type of tumor is still considered largely benign and less aggressive, but it represents its own category because the data suggest that PMAs are (for some unknown reason) slightly more likely to return after removal. While the cells may have most of the qualities of a nearly harmless PA, PMA tumors, when not identified properly, can often return undetected and cause serious problems. Dr. Magge stated that the only difference going forward between a PA patient and a PMA patient is that Sophie will have MRIs slightly more frequently to watch for any regrowth. While the Johns Hopkins Neuropathology Division seems to be doing most of the major research into PMAs, the Columbia University has set up an entire website resource with tons of information (I haven’t even looked over it all yet). Remember, every link I provide in the text leads to additional information and reading. If you are interested or need to know more, please follow the links. I make every effort to present the information I gather in as clear and simple a manner as possible while maintaining the integrity and truthfulness that it contained when I found it, but I am not perfect. Please leave comments to add your information, ask questions, and share your stories. I’m not following the normal formatting for this entry because I am only posting this to provide you with the information I received yesterday regarding Sophie’s tumor. Some of you may recall that the biopsy report we heard a couple of weeks ago was unsettlingly inconclusive. The doctor who relayed that information to me was unaware that her tumor samples had indeed been sent off to another facility for further review, and those results came in a few days ago. 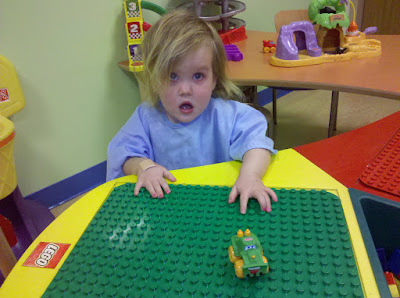 Yesterday, Sophie’s surgeon called to deliver the new pathology report. Pilomyxoid astrocytoma (PMA) is a recently described type of brain tumor. 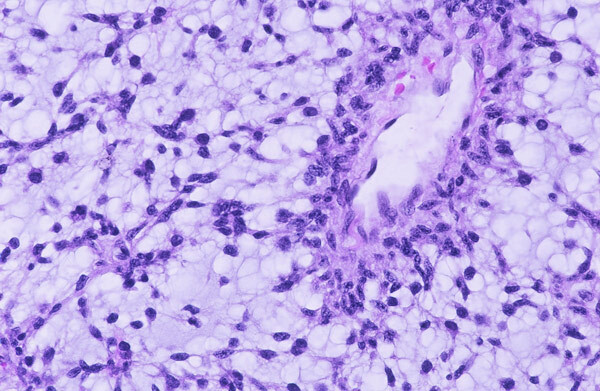 PMA shares similar features with pilocytic astrocytoma (PA), the most common central nervous system (CNS) tumor in the pediatric population, yet displays subtle histologic differences. Previous studies have shown PMA to behave more aggressively than PA, with shorter progression-free and overall survival as well as a higher rate of recurrence and CNS dissemination. These findings suggest that PMA may be a unique and distinct neoplasm. This review summarizes the histologic, clinical, and radiographic characteristics of PMA. In addition, the current treatment options and research endeavors involving this disease are described. Increased recognition of PMA within the medical community has the potential to affect the treatment and prognosis of pediatric low-grade astrocytomas. Interestingly, this paper was written by doctors at the Johns Hopkins University, the same place that Sophie’s tumor sample was sent for the second biopsy. The tumor is considered a grade two tumor. Essentially, this is grade two in the four-grade scale that is most commonly used to grade tumors. Grades one and two are considered benign, and three and four are considered malignant. However, benign and malignant are not generally used to refer to brain tumors, as those words tend to be separated into “good” (benign) and “bad” (malignant) categories. In the brain, it does not matter if the tumor is benign or malignant. There are many benign brain tumors that can kill, and many malignant tumors that are easily treated and pose minimal risk to the individual. This is especially true in children. The main thing to gather from the fact that hers is a grade two tumor is the likelihood that it may recur. Grade one is the least likely to return, and grade four, being the most aggressively mutated type of tumor, is the most likely to return – but chemotherapy and radiation treatments can often prevent recurrence. Dr. Magge consulted with their tumor expert and their joint review of Sophie’s files concluded that she should not need any type of treatment or radiation for the tumor as there is only a small chance that her tumor will grow again. We will still be meeting with Dr. Magge on the 26th of January, and we may come away with more information then, but the basic plan from here on out is to have her in for an MRI once every three months for the first year after surgery, then depending on how the first year goes, we will generate a schedule for subsequent, regular MRIs. I asked him if those would be once a year, or more or less frequent, and his answer (though not specific) seemed to indicate that they would be less frequent than once a year. Again, we’ll know more after our meeting with him. Dr. Magge has also given our number to their tumor expert and we will be meeting with him (I can’t remember his name) as well. If you have any more questions, please leave a comment here and I will do my best to answer them (you can expect an email as well if you leave a comment with a question). Most likely, I won’t have an answer, because everything I know for sure is right here. However, we will know more and continue to learn more with time. Thank you for all of your prayers, concerns and support. We had our appointment with Dr. Magge, and a lot of new information is available.